Thousands of digital currencies strive to prosper in the market. However, it’s only a few dozens that make a real breakthrough. And it’s only a handful of those whose goal is to change the transactions and legal system. NEO ranks among such players. What opportunities does it offer? A currency knows today as NEO was launched in early 2014 (originally under the name AntShares). It was developed by a Chinese company Onchain, the very first players in the big dragon country. NEO got its name in June 2017 together with the impulse for the development of ambitious plans designed by the founders. Based on the Ethereum concept, NEO it not a cryptocurrency in the true sense of the word.. It’s rather a consensus platform and digital asset allowing signing of contracts, storing of confidential documents or paying out commissions. Contracts known as NeoContracts, guarantee the release of a certain amount of NEO (or an encrypted file) in a reaction to meet the agreed conditions. The popularity of NEO is reinforced by the fact that the creation of NEO requires just some basic knowledge of programming. Anybody with elementary knowledge of programs such as C# or Java will be able to create NeoContracts. The fundamental nature of NEO blockchain makes it impossible to tamper. All changes of data need the approval from the majority of crypto holders. NEO is also used as a cloud platform for archiving legal documents. The output is not negligible – according to OnChain, each day 800.000 documents are stored including contracts. NEO continues to bite a bigger piece of the cryptocurrency cake. As to the issues of digital identification; NEO’ response was as follows: Until now it has not been possible to guarantee 100% certainty when signing documents electronically. This was implemented in the legislations of the USA and China. With the arrival of NEO, the situation has changed: Thanks to the NEO blockchain, the identity of a subject has been made constant. Competition-wise, NEO is far ahead of its rivals. It is not only thanks to the symbiosis between the real and virtual identity; the developers behind this platform are consistently preparing for the arrival of quantum computers. In the framework of the NeoQS project, they strive to secure NEO so that it can resist computing power of the future electronics. 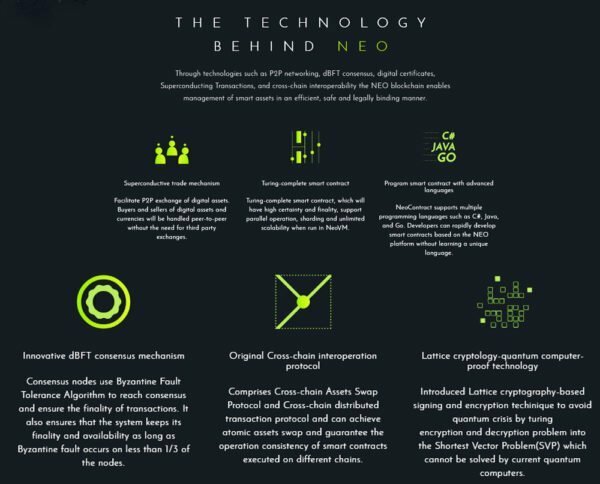 Another specific feature of NEO is its unique system of verifying transactions. The system can process thousands of transaction within a second. However, this is not the end. In the future, the developers plan to increase the capacity to 10.000 transactions per second. One curiosity about the first Chinese crypto attracting the attention of both investors and miners: Traditional mining is not the way to get NEO. You can get it only by purchase. It’s because NEO behaves as an asset. If you holder your NEO tokens in the right place (one of which is the official NEO wallet), the system generates GAS tokens. The tokens behave as traditional cryptocurrencies. GAS tokens act as a means of payment and can be used not only for buying products and services but also computing time to verify NEO and GAS transactions. It’s only GAS token that can be mined. But this includes one more hitch. Not everyone can become a miner. The prerequisite for being a miner is the trust of the whole NEO community as well as the ownership of a certain amount of NEO tokens. Neither is available for cash. The only way to become an owner of NEO is to exchange it for “conservative” cryptocurrencies such as Bitcoin. (for example at Binance or Bitfinex). You will do this in case you want to hold the crypto or sell it in the future for a larger amount than bought. This is not the only way to trade this crypto or make money. 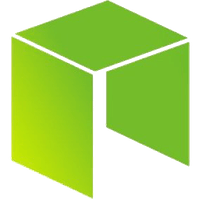 NEO can be bought as CDF, so in reality you will not be the owner of NEO you will be the owner of its value. With the growing value your risk will grow accordingly. Another benefit of trading NEO as a CFD is the possibility of using leverage. This means that you can buy more cryptos than your current cash allows and use it for speculating on growth. Nevertheless, be cautious the risk of losing is proportional to the chance to win. Practically speaking, if you have on your account USD 1 000 and NEO is traded at USD 100, you can buy 10 NEO. However, if you use leverage of 1 to 2, you can buy with your USD 100 account up to 20 NEO. If the price doubles i.e. USD 200 USD your profit will be USD 3000 (instead of USD 1000). And what about the price? As of 19 April 2018, the price of NEO was around USD 73.14, while GAS was available at USD 22.74.